I haven’t mentioned much about teaching yet on Working Wednesdays, despite having worked in about 10 different schools, but it’s a regular feature so there will be plenty to come. 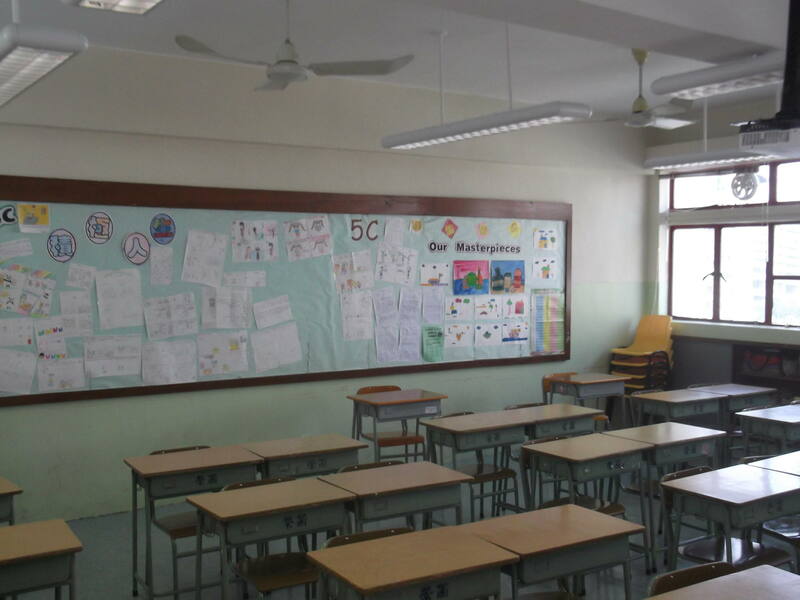 These teaching jobs have been wide and varied ranging from Kindergartens to Joint School Events to Primary Schools to Buddhist Schools to Private Tutoring, all within the bounds of Hong Kong. 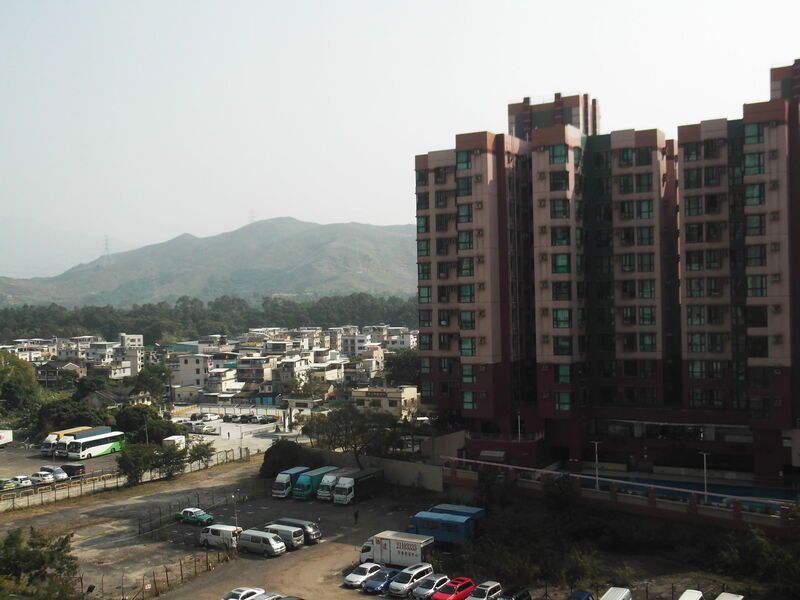 One day I headed to Yuen Long on the west side of Hong Kong to conduct video interviews with 11 – 13 year olds looking to progress to the next level. It was in a Buddhist School, my first time to work in such a school. 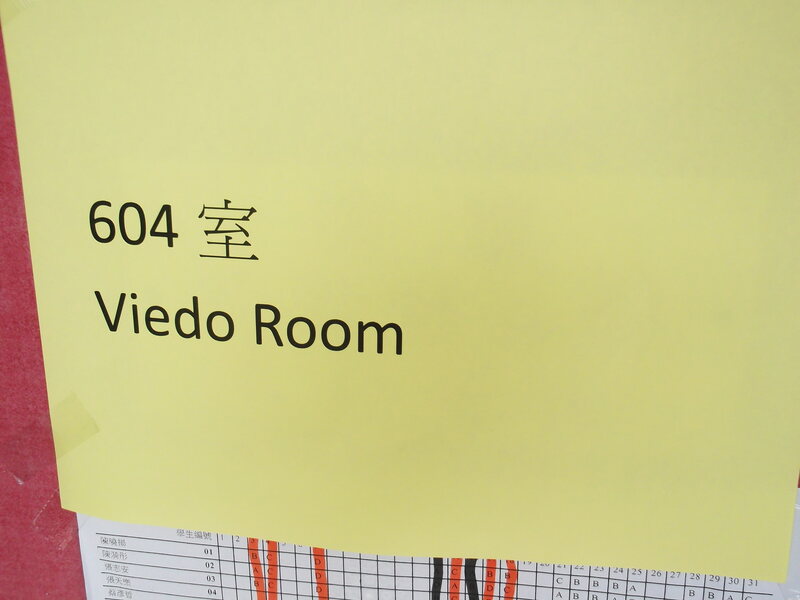 The first thing I noticed wrong – I was working in the Video Room – they couldn’t even spell it correctly!! The job was just a half day of work, around 4 hours of filming video interviews with over 40 students. On arrival I was sent to the Video Room where I had my first laughing out loud moment – they had spelt it wrongly – Viedo Room instead of Video Room. 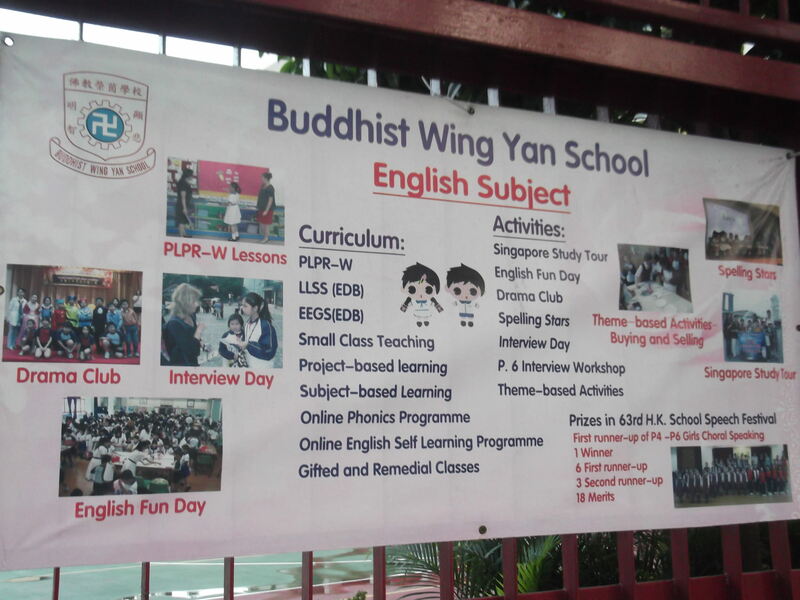 That was the teachers in the Buddhist School – if their English was this bad then how bad would the children be…their standard was low put it that way. For the next four hours I was sitting in a chair with a video camera in front of me and a set of questions. Work like this as an English teacher is not too difficult – you just ask the questions and record the student. At the end of each interview you get a new form to fill in with marks. 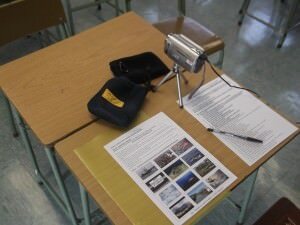 Each video is stopped and given a number and the student is later presented with a copy of their CD for their own reference. And so it began – myself and just one other student at a time coming into the classroom for an interview. Their level of English was very low – some of the students actually hardly said a word for their 8 minutes or so on camera! But then again, can I really be critical? I don’t think I can. How about asking me to speak in Chinese for 8 minutes and write the word video in Chinese characters. I couldn’t! So I’m not being harsh, just real. Most of my other students in Hong Kong have been of a higher standard so that’s why I noticed it. 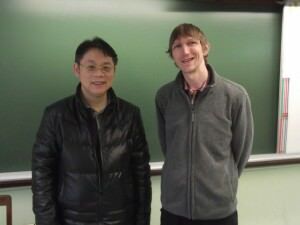 In the classroom with my boss after work! As a teacher in Hong Kong employed by an agency, I get asked to do this type of work regularly and I normally say yes! It’s usually just a few hours on a Saturday and great pay. For this shift I got 900 Hong Kong Dollars alone, I could live and travel in China for 2 weeks on that, including having beers and good food. So it’s very much worth it. 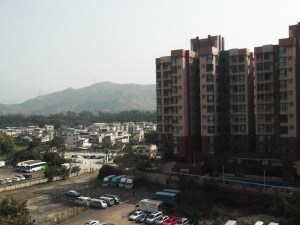 Not a bad “view from the office” either – checking out the mix of countryside and urban flats in Yuen Long, Hong Kong. 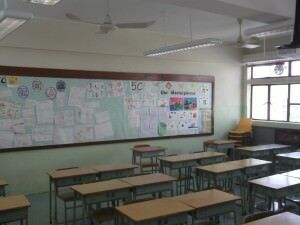 I will be detailing a lot more on teaching and working in Hong Kong in forthcoming Working Wednesdays on here. Safe travels! This entry was posted in Asia, Daily Features, Hong Kong, Jobs, Teaching English, Working Wednesdays, Yuen Long. Bookmark the permalink. Wow, that’s great money! Definitely worth it. I’m been teaching EFL for a few years too, and yes, it can be easy to forget how hard it is for your students to speak…until you put yourself in their shoes! Indeed Sam! Hong Kong is one of the best places to earn and save money as it mixes the cheapness of China (for food, flats and transport) with the modernity and commercial power of places like Australia and Germany. I’d actually say it’s easier to work in Hong Kong than it is in Australia. I’ve taught well over 1,500 Hong Kong students now…hoping it will have some kind of impact at some point like they will use the word dear instead of “expensive” (hate that word!) or spell colour correctly with the “u” in it!